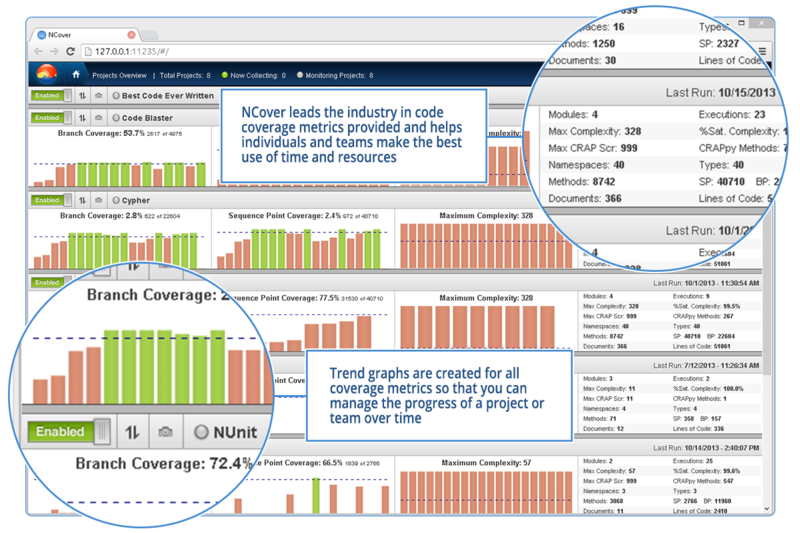 NCover leads the industry in code coverage metrics provided and helps individuals and teams make the best use of time and resources. 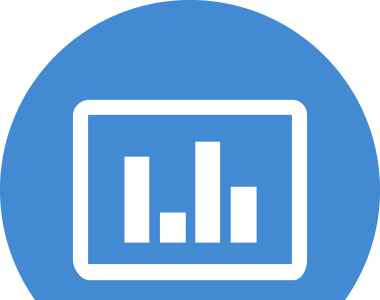 Trend graphs are created for all coverage metrics so that you can manage the progress of a project or team over time. 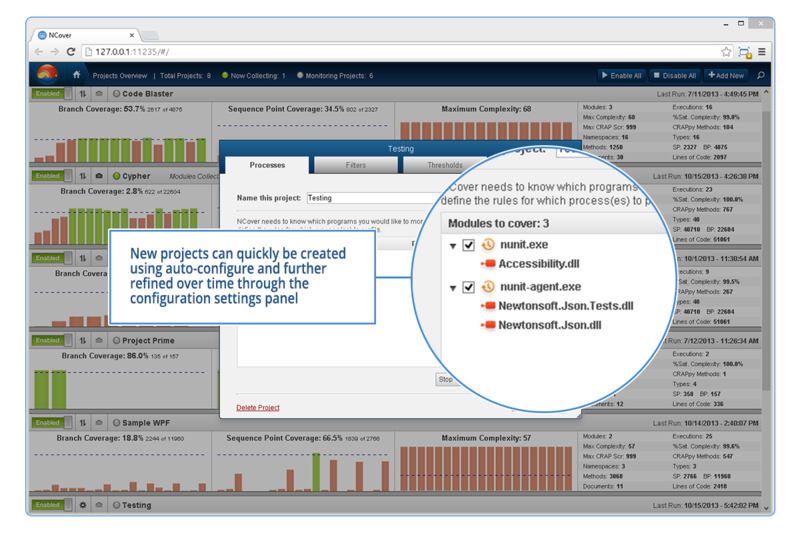 New projects can quickly be created using auto-configure and further refined over time through the configuration settings panel. 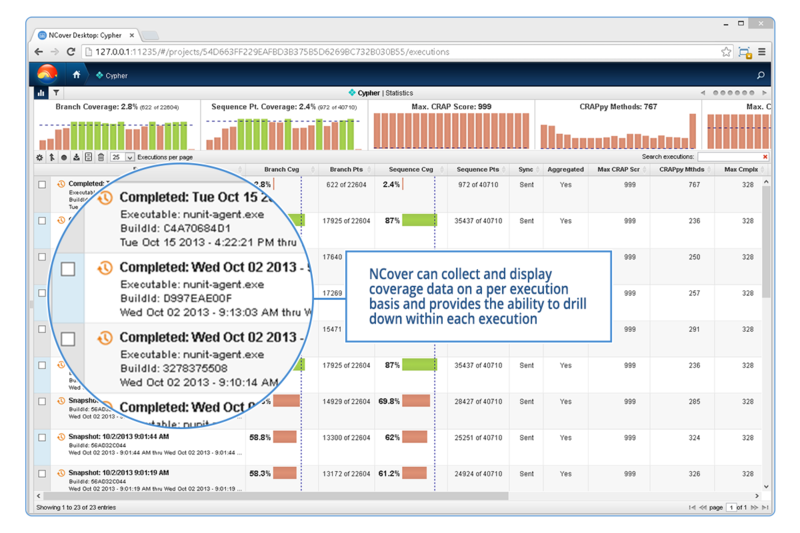 NCover can collect and display coverage data on a per execution basis and provides the ability to drill down within each execution. 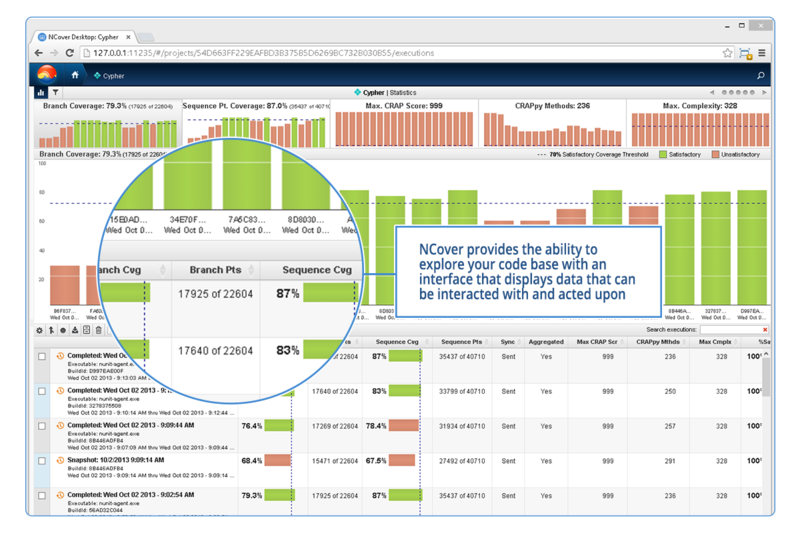 NCover provides the ability to explore your code base with an interface that displays data that can be interacted with and acted upon. 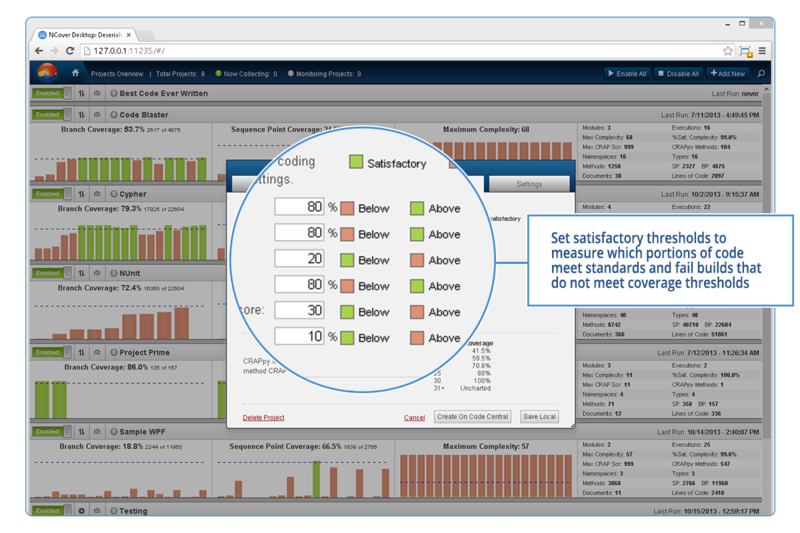 Set satisfactory thresholds to measure which portions of code meet standards and fail builds that do not meet coverage thresholds. 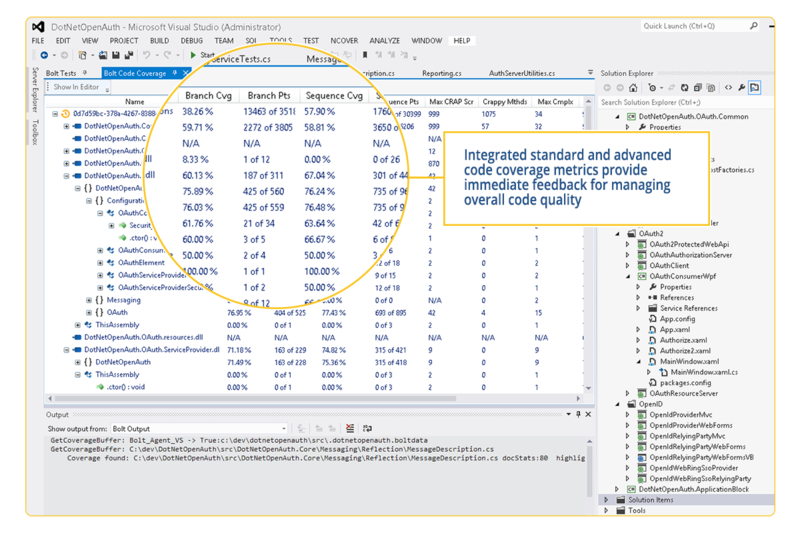 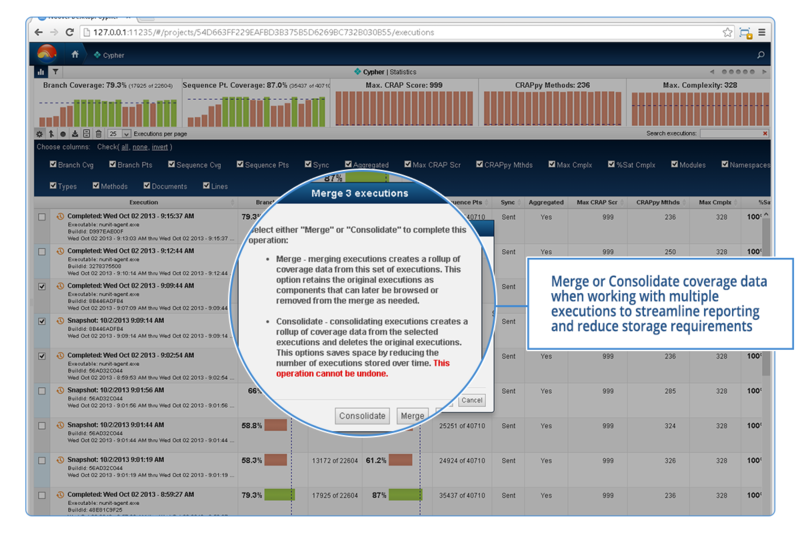 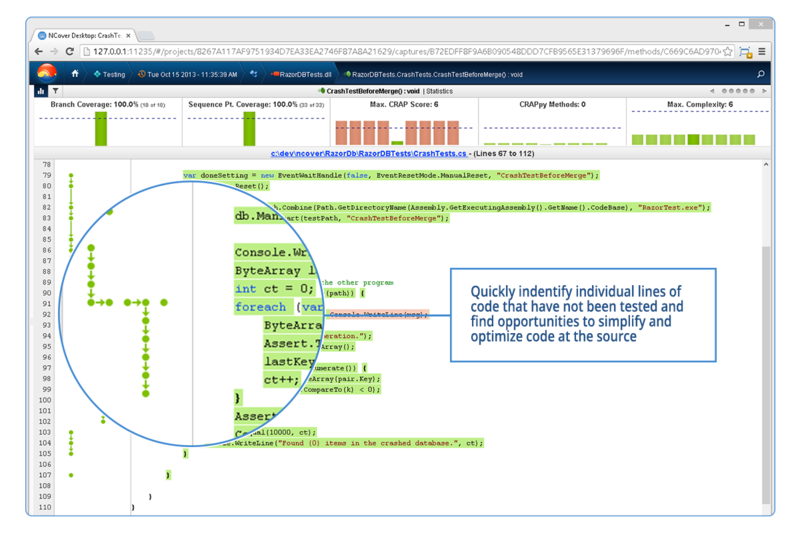 Integrated standard and advanced code coverage metrics provide immediate feedback for managing overall code quality. 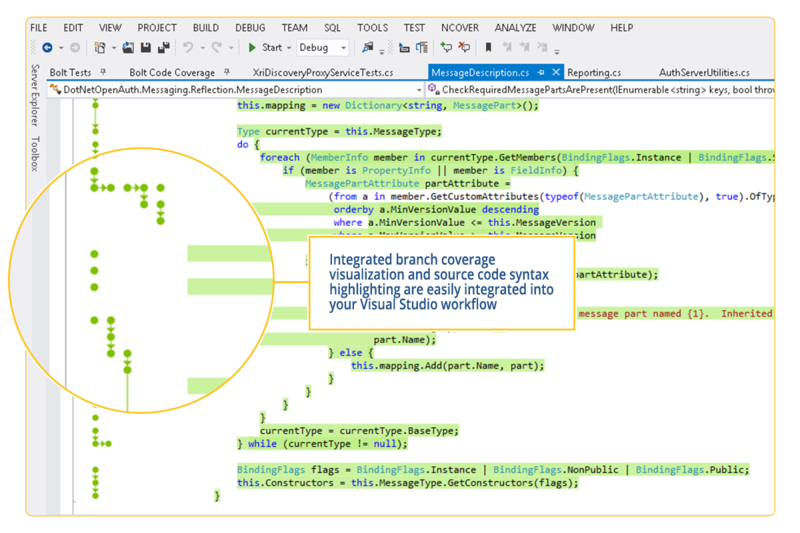 Integrated branch coverage visualization and source code syntax highlighting are easily integrated into your Visual Studio workflow.